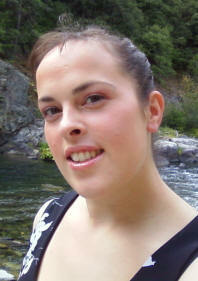 Fantasy author Leslie D. Soule is back in the hot seat. This time she’s chatting with me about Betrayer – book 3 of the Fallenwood Chronicles. During her virtual book tour, Leslie will be awarding a $10 Amazon or Barnes and Noble (winner’s choice) gift card to a lucky randomly drawn winner. To be entered for a chance to win, use the form below. To increase your chances of winning, feel free to visit her other tour stops and enter there, too! Welcome back, Leslie. Please tell us a little bit about yourself. 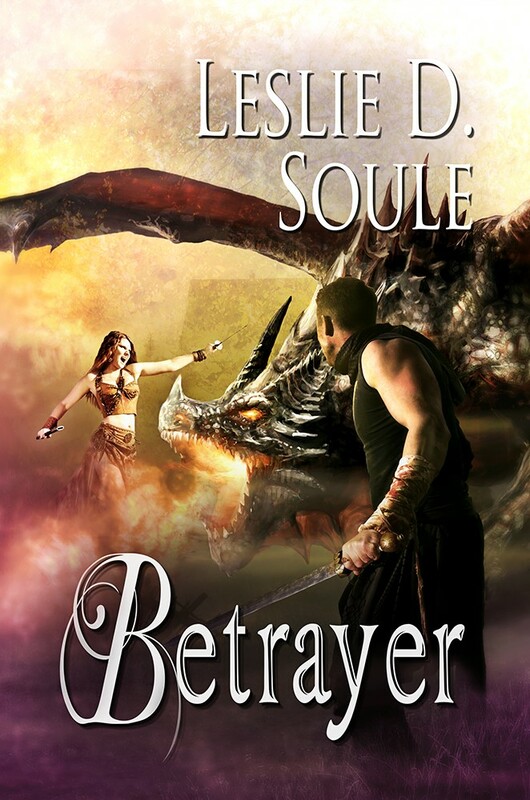 My newest release is a novel called Betrayer. It’s the third book of my Fallenwood series, which is a fantasy series about a girl named Ash Kensington, who travels to the fantasy world of Fallenwood. There, she finds friends, and danger, and in this book, she finds an intriguing dragon slayer named Draeon. I was in a whirlwind romance – I thought I’d found the man of my dreams and everything was finally working out. That is, until I realized what I was up against, like Ash, in my novel. This guy who appeared to be everything I wanted, ended up being a psychopath and putting me through hell. It’s hard to explain, and I think it’s really hard to understand unless you’ve been through this sort of thing. So I wrote Betrayer as a kind of explanation of how it happens, to show those who haven’t been there. Also, writing is a kind of therapy for me, and I think the beautiful thing about writers is that they’re able to take all this darkness and pain and channel it into something good – something with an important message. Currently, I’m working on the final book of the series – it’s called Retribution. It’s where Ash finally meets up with Malgaunt and the epic battle of good versus evil, happens. Ash has been through a lot in this series, and she’s gained and lost allies, and been strung along by this evil entity known as Malegaunt. It’s exciting for me to write the final book of the series. Also, though, I’m working on this voodoo killer story with my friend Tom, who’s hilarious! He keeps me in stitches and is a literary gold mine. We started talking about the story as more of a joke, but it’s developing quickly into an actual story. So we’ll see where that goes. My biggest challenge is that since it’s a series, you want to get the details right. And if you’ve written a few books in the series, sometimes you have to go back and get the details from your other books, since if you’re like me, there’s a lot that doesn’t get memorized. Like, I had to go back and figure out just how many gold pieces Ash took in book 2, so I’d know how many she had to work with in book 3. That kind of stuff. So usually, I’ll write a rough draft, and make a note of the things I’ve got to read up on. Such as, I didn’t know a whole lot about the keeping of horses, but Will’s got one in Fallenwood, so I figured I’d better read up. I took a break from writing and read all of this book called A Horse of Your Own by M.A. Stoneridge. It’s huge, but very informative, and I’d suggest it for anyone else who’s writing horses into their novel. On my rough draft, I’ll usually make a note where research is needed, and then randomly go back and do the research, and then do the writing after the research is done. I find that I have to actually write things down, to get the flow going. So I can’t actually sit down at a computer and just start writing. For me, it doesn’t work that way. And at home, I find that I have a lot of distractions. I prefer to get out into the world and find a quiet café’ in the area, get a coffee, and sit down and write. Lately I’ve found this Mountain Mike’s near my house, and it’s quiet enough that I can go there and not feel rushed or pressured or have a lot of people around, wondering just what I’m doing with those Sixth-Sense cards. I’ve just gotten into reading Terry Pratchett novels. He’s got this dry humor that takes a bit of getting used to, but it quickly becomes endearing. Also, I got my first audio book! It’s Kurt Vonnegut’s novel Fates Worse Than Death. I listened to it on the way up to Ashland to see a Shakespeare play, and back down to Sac. It was fantastic. Yes! Well, I think the important thing I’ve taken from writing Betrayer is that you can take the pain and suffering that you’ve been through in life, and transform it into something that no longer hurts you, and has the power to help others. A lot of people shy away from writing painful subjects, but I feel like it can be very cathartic, to do so. Bobby Nash is an award-winning author of novels, comic books, short stories, novellas, graphic novels, and the occasional screenplay for a number of publishers and production companies. He is a member in good standing of the International Association of Media Tie-in Writers and International Thriller Writers. An award-winning author, Bobby Nash writes novels, comic books, short stories, novellas, graphic novels, and the occasional screenplay for a number of publishers and production companies. He is also a member of the International Association of Media Tie-in Writers and International Thriller Writers. Bobby was named Best Author in the 2013 Pulp Ark Awards. Rick Ruby, a character co-created by Bobby and author Sean Taylor also snagged a Pulp Ark Award for Best New Pulp Character of 2013. Bobby has also been nominated for the 2014 New Pulp Awards and Pulp Factory Awards for his work. In 2015, Bobby's novel, Alexandra Holzer's Ghost Gal: The Wild Hunt won a Paranormal Literary Award in the 2015 Paranormal Awards. Welcome, Bobby. What do you enjoy most about writing short stories? Short stories are great fun. They are a good way to dip your creative toe into a genre that you might not normally write, which is how I wrote a western and a boxing story. Short stories are also useful when I feel experimental. I can try new things in short form and see how they work. It is also a chance to work with some characters I find interesting. Because of short stories I got to write The Green Hornet. That was cool. 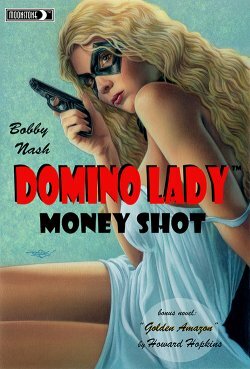 Writing “Domino Lady” was a big deal for me, although I did not realize it when I did the first one. Back then, I was just telling one story about this pulp character from the 1930’s. Little did I know that I would become so associated with the character as time went on, she’s a character I still write to this day and hope to continue writing into the future. 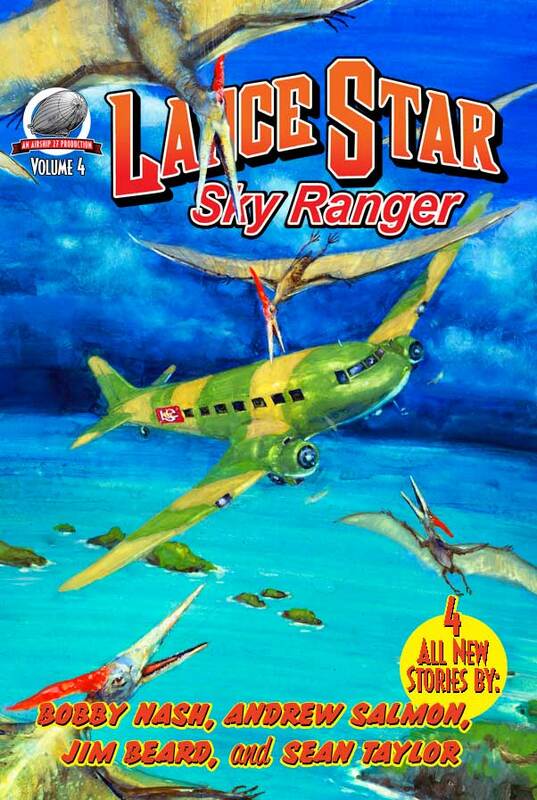 “Lance Star: Sky Ranger” was where my short story writing career really began. The publisher invited me to write this aviation pulp character and had so much fun with the format that I wrote more short stories. Before Lance Star, I focused on novels and comic books. I still write those, but love doing shorts as well. 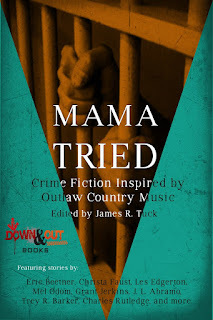 I love crime fiction in general, but there are many sub-genres of crime fiction that allow a lot of freedom to play. 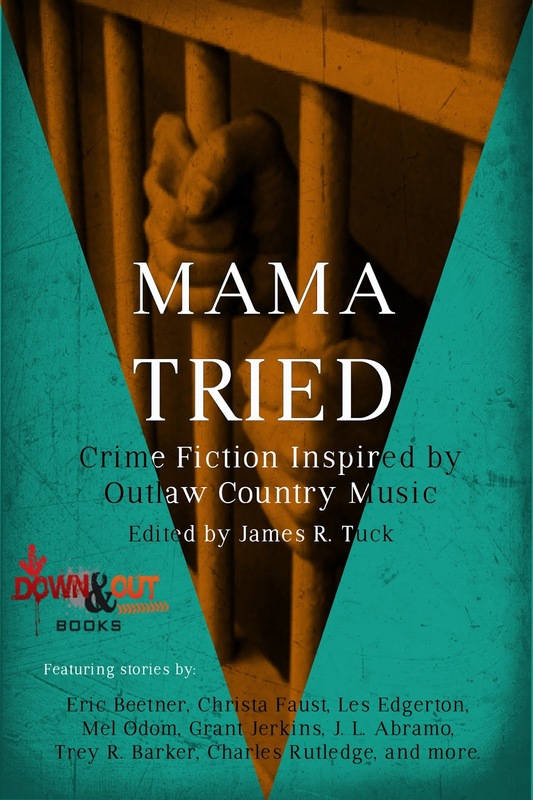 Superheroes, action, thriller, mystery, suspense, cozy, paranormal, and even sci fi and westerns can all have a crime fiction element to them. The sky is the limit. 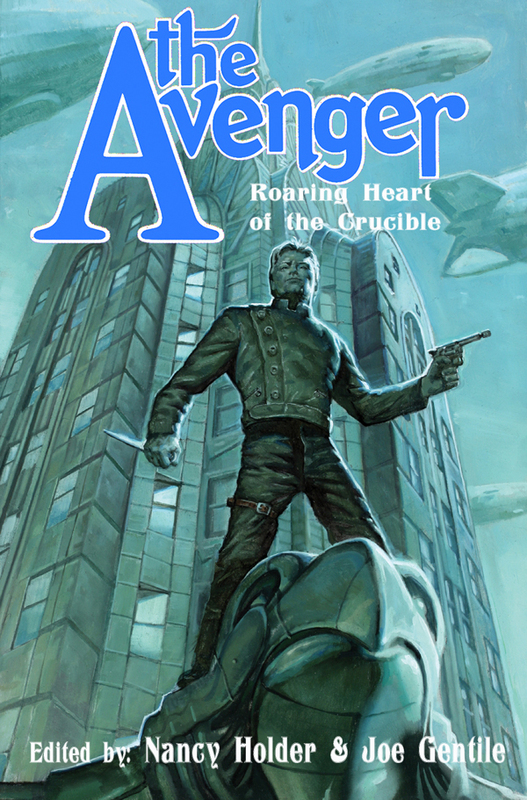 I am currently writing a novel for Moonstone Books featuring the classic pulp character, The Avenger. I’m nearing the finish line on that story. The Avenger is a crime fighter who forms Justice, Inc. after his wife and daughter vanish and are killed. The shock causes muscle paralysis, bleaching his skin stark white in the process, and giving him the ability to change his appearance at will, making him perfect for undercover work. 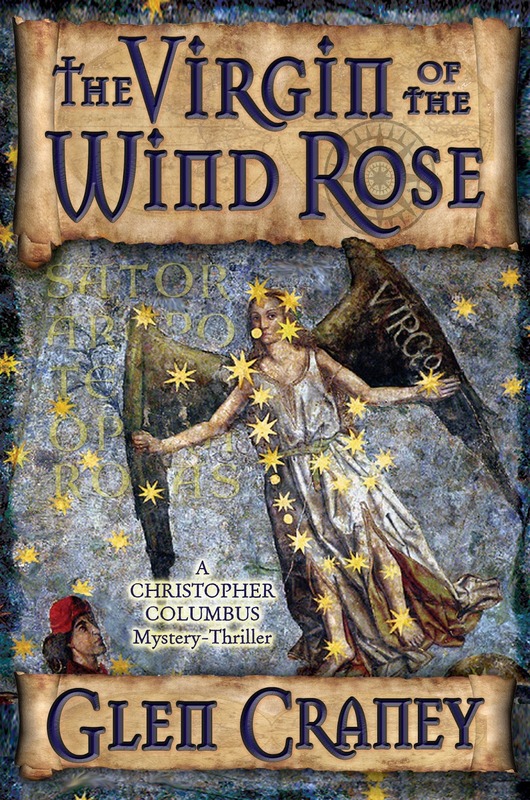 After that, I have a Lance Star: Sky Ranger novel to put the finishing touches on and then I’m adapting a comic book series called The Wraith into novel form. Then, it’s on to Alexandra Holzer’s Ghost Gal book 2. I was in high school when the storytelling bug really hit hard. I’d dabbled a bit before that though. I wanted to be a comic book artist so I started writing comic book stories so I would have something to draw. Turns out that I was better at the writing side of things than I was at the art so on the advice of a friend, I focused on the writing and here I am. Check out the publisher’s website, look at what types of books they’ve published to see if your book is what they are looking for, contact some of the authors that they’ve published (easy enough if they are on social media) and ask questions (politely, of course), and check them out on Preditors & Editors. That’s usually a good way to start vetting potential publishers. Also, and this is very important, read their submission guidelines and follow them. That is your first impression with a publisher and/or editor. If you can’t follow instructions there, that can hurt your chances by starting off with a bad impression. Not sure I have any quirks. Oh, I’m sure I probably have them, but haven’t noticed them for what they really are yet. I try to sit down and write. When I was young, it changed from week to week. One week I wanted to be a cop, the next a scientist, an explorer, an astronaut, an artist, an actor, a writer. Sometimes now I don’t know precisely what I want to be when I grow up. I love what I do. Writing is fun. I love creating worlds and characters that I enjoy spending time with and then putting them through hell. Good, clean fun. Thank you for being here today, Bobby. All the best with your writing!